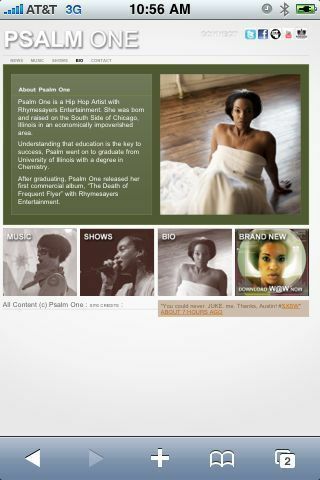 My press shots of the Chicago rapper Psalm One just dropped in a re-design of her website: www.psalmuno.tv. Check them out! I did the photograph of her in the bio page and the free downloadable wallpaper. Liz Klafeta styled, Brian Sorg assisted and offered the rental studio, LaTrice Edwards did hair & make-up, Ina Strauss was moral support and second assistant. Thanks to all for the great work a few months back.